The advantages to growing fruit organically are obvious in the first bite. Your own organic fruit is not covered in arsenic (as some commercial apples are to lengthen shelf-life) or wax. Growing your own fruit means picking varieties for flavor, not looks or ability to travel. Your organic fruit may not be as picture perfect as the stuff you find in the grocery store, but fruit is to eat, not to take pictures of! 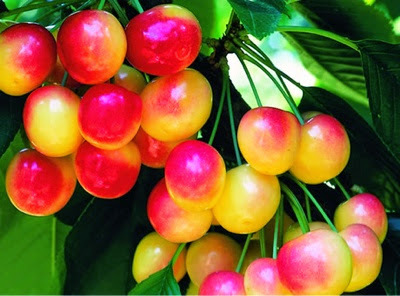 Most plants in your garden are annuals, they produce fruit only once and in the same year they are planted. Your fruit trees may not bare fruit for many years after they are planted, but will produce delicious fruit for generations once matured. Some trees can fruit for over 1,000 years! Even a small garden has room for a fruit tree. Fruit trees are ornamental as well as useful. They produce beautiful blossoms in the spring and can enrich the surrounding soil. Apple trees are great for climbing and providing shade as well as…apples. If you have the patience, consider at least one fruit tree as a beautiful and useful addition to your organic garden. Depending on the size of your yard and area where you want to plant a tree consider dwarf, semi dwarf and standard sized trees. Your fruit tree must be pollinated in order to bare fruit. Some trees are self-pollinating while others need to be planted in pairs. Some trees require three trees in order to be pollinated. Ask your local nursery if self-pollinating trees are available, otherwise, let the bees do all of the work! For apple trees, a crabapple tree makes a great tree that is used solely for pollination. When picking the site for your fruit tree, take into consideration the landscape. Nearby slopes may cause frost pockets, which will adversely affect your fruit. Wind may also stunt the growth of your fruit tree and the altitude of your garden may be better suited for certain fruits or strains. Prepare your soil as you would for any organic garden. Enrich local soil with your own or store-bought organic compost or you can make your own with little or no cost. When selecting a fruit tree, be sure to visit a specialist or nursery in which you can examine a variety of plants for the best and strongest. You may choose to buy a potted tree or a bare-root tree to be planted in dormancy. Despite the years that must pass before a tree bares fruit, a younger potted plant is more likely to adapt well to its new location than an older potted tree. Once adapted and healthy, the tree is more likely to bare fruit. Overall, bare rooted plants are cheaper and sturdier than their potted counterpart, but any variety will work. Trees can be grown in a variety of shapes and styles. You may choose to grow certain trees diagonally along a fence or to just let it grow wild. There are many ways to allow a fruit tree to incorporate itself naturally into your garden. Young trees usually need to be staked for support after transplantation and in this way you can choose the direction it grows in. Pruning also plays a huge rule in training which way your tree grows and encouraging it to bear fruit. At the very minimum, prune your fruit tree such that there are no branches crossing eachother. However, espaliering a peach or nectarine tree against a south facing wall requires that all back and front facing branches be removed. Use gardening tape or used nylons to weight branches down and train them to grow horizontally. Have you considered an apple tree? Apple trees are probably one of the most common and satisfying American fruit tree. With dozens of varieties to choose from, this attractive and low-maintenance tree is a simple and rewarding addition to any organic garden. Apple trees will grow in almost any climate, can be bought in dwarf varieties for smaller gardens and can be harvested for several months. Apple trees do have their problems, the foremost being the Apple Maggot. Apple maggots love apples as much as we do. If you have ever found a worm in your apple, it was probably an Apple Maggot. These can be taken care of by hanging sticky red balls from your apple tree in early July. The Apple Maggots will be attracted to the ornament and become stuck in it, keeping them out of your apples. Apricot trees can be grown in many U.S. climates and produce fruits tastier and juicier than any available in the Supermarket. Apricots must be harvested carefully, as they are delicate fruits and do not have a long shelf life. Additionally, some strains of apricot trees overproduce, bending and snapping their own branches. These fertile trees must be supported by hand made ‘crutches’. Apricot, citrus and apple trees have a common enemy in the Tent Caterpillar. These caterpillars hatch when the leaves first open. Any visible “tents” can be removed easily with a broom in the evening and squashed or drowned in soapy water. If there are too many caterpillars, use a sulfur spray on the tree periodically. Planting a variety of local native grasses and plants around your trees can help you to avoid most harmful pests. Planting lavender bushes and other flowers near your fruit trees will encourage bees, which are necessary for pollinating your trees. The more insects there are in your garden, the healthier your fruit. There are always more beneficial insects than harmful ones. Whether adding an ornamental dwarf apple tree to your existing garden or starting an entire orchard, growing your own organic fruit is easy and rewarding and will continue to be ‘fruitful’ for generations.